NZ players can sign-up on Vera John Casino and get 20 free spins on zoom. 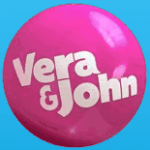 Just use the bonus link here on free-spins.org and you’ll get the opportunity to try out Vera & John for free. Also once signed-up, Vera and John are one of the better rooms that are giving out reload and free spins to their players. What Vera John seemed to have focused their attention on is the bonus. You make a deposit and they give you a hefty bonus. They like to keep it simple do our Vera and our John. You don’t always have to play from your sofa and Vera & John understand this, hence why they built the mobile version of their casino and built it well! The mobile site is just as sleek and smooth as the browser site, just on a smaller screen. You use exactly the same wallet and account details regardless of what platform you are playing on so you could be playing on your browser, realise you have to be somewhere and rather than drop the game there and then, take it with you and play on your mobile on the bus while you travel. 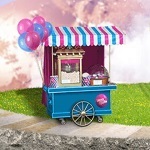 You can usually find a 20 free spins offer or something simlar which is valid via mobile. There is a massive selection of games at Vera & John, more than seven hundred of them to be more accurate. This is one of the largest selection of games available anywhere in the market and it is one of the biggest selling points of Vera John. 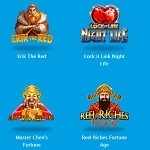 Make an account with this casino and you will really struggle to get bored or fed up of it. The design is great and the choice is massive. From the homepage you can access every single one of the 700 plus games or you can use the handy category tabs at the top to filter down between jackpot games, slots, video slots, live casino, table games and instant games. But if that still isn’t easy enough for you why not build your own casino in the ‘my casino’ area of the site? Here you can essentially drag and drop all of your favourite games, from the 700, into a single casino that is saved for later access. Then you pretty much have your own casino and let’s face it, that’s always been the dream hasn’t it? All of the games in Vera & John are played directly in the browser which makes it feel much smoother and means you don’t have a million different windows and tabs open at the same time. This makes the whole thing feel tidier and actually makes your computer run quicker, further improving the gaming experience. The support at Vera & John is possibly the only part of this casino that lets it down slightly. Don’t get us wrong, the help centre on the right hand side of the page is fantastic, genuinely really good. You have access to the answers to frequently asked questions and can ask questions of the customer service staff via the live chat function and their response is nearly always timely and useful. The reason that the support lets the site down a bit is that it isn’t 24 hours, so if you have a question that cannot be answered in the frequently asked questions section then you will have to wait for opening hours to either use the live chat function or make a phone call. A bit annoying and perhaps short sighted considering the bulk of gamblers do so in the wee hours of the morning. You can use your major credit or debit cards on Vera and John as well as a whole load of other payment methods including bank transfers, Moneybookers and Neteller to name but a few. Deposits are pretty much instant and withdrawals are pretty quick for a newer casino. All in all, a ridiculously good selection of games, but perhaps a little bit of fine tweaking to be done on the customer service side. Question: How can I retrieve my login details in case I forgot them? Answer: Click the “Forgot password” found on the top part of the homepage. You will then input your email address so you can be sent a new password. You can use that to log in, along with your username which is usually just your email address. If you are still encountering problems, you can get in touch with customer support. Question: Is it possible to open more than one account? Answer: No, you are not allowed to open more than one. If you are not sure if you already have a registered account, you can get in touch with our customer support. Question: Do you have tournaments? How can I join? Answer: The process is simple. you just have to know the games included in a tournament and the time by which they happen. You need to be in the version where you can play for real money in order to join a tournament. Make sure you know the criteria so you will not compromise your ability to win. Question: What time is the customer support available? Answer: The live chat and phone support are available every day between 9:00 to 23:00 CET. If you need to have questions answered beyond these times, you can send an email. You can expect an answer within 24 hours but you should consider that the email support is only available every day between 8:00 to 23:00 CET. Question: How can I make a deposit or withdrawal? Answer: To make a deposit, you have to log into your registered account first. Click the “Deposit” button at the top right-hand corner of the page. Choose the payment method and follow the instructions by providing your account information, etc. Usually, deposits are credited instantly to your account – allowing you to play immediately. For withdrawals, you also have to be logged in. Choose the “Withdrawal” option under “My Casino” and follow the instructions. Take note that whatever you used in your deposit should be the same method you will use in your withdrawal.